Unlike some other celebrated pro athletes, whose last year of competition is celebrated by pre-game ceremonies and sentimental gift giving, Tito Ortiz’ last fight week will see him get an induction into the UFC Hall of Fame before having Forrest Griffin trying to punch him in the face for 15 minutes this Saturday night. So excuse the former light heavyweight champ if he hasn’t exactly been basking in the glow of the numerous tributes and kind words he’s been receiving in the final days of his storied 15 year career. When it comes down to it, he still has a fight to get ready for, so he’s not getting too misty – at least not yet. That’s the one part of the deal that Ortiz always got more than anyone else, and through the ups and downs, the successes and the failures, he always knew that if anything, he would never be accused of not working hard and giving his best effort. Sure, some serious injuries kept that best from being what he wanted it to be, but when the fights were over, he could always be content that he left whatever he had in the Octagon. And that’s not a fun process by any stretch of the imagination, so when he talks with urgency about leaving camp to go fight in Las Vegas this weekend, it’s not a catchy sound bite; he really wants to fight. Thankfully, his oldest son Jacob has had a full recovery from the meningitis scare (“I’m very, very thankful,” said Ortiz), but that and everything else is just par for the course with Ortiz and every other pro fighter. Life gets in the way sometimes, and it’s the ones who deal with it the best and still show up focused and ready on fight night who succeed. Ortiz is one of those fighters, a former world champion who defended the 205-pound belt more than anyone in UFC history and also put the sport on the map in the years before the MMA explosion in 2005. Sure, he’s had his rough moments in the last few years, but he’s still standing and still here for one last go round. The organization is thanking him back by inducting him into the UFC Hall of Fame on Saturday, just hours before his final bout. It’s not only an acknowledgement of his impact in the Octagon, but outside of it as well, and considering that he has thrown hands with three of the seven fighters already in the HOF (Randy Couture, Chuck Liddell, and Tito Ortiz), it’s most definitely a well-deserved honor. “It’s recognition and I’m thankful,” he said. “It’s always been my goal in life to be the best athlete that I could be and that ever graced the Octagon, and not only inside, but outside. I wanted to be an inspiration in a lot of people’s lives, so they could look at this sport and not see it as barbaric human cockfighting, but see us as well-trained athletes that compete against each other to see who the best athlete is. And I’ve done that, I think. I helped break the mold from the 90s to 2000 and now 2012. I fought in three decades, and it’s crazy to even imagine that. That road, or at least this chapter in his life, comes to a close at the MGM Grand Garden Arena in Las Vegas this Saturday. 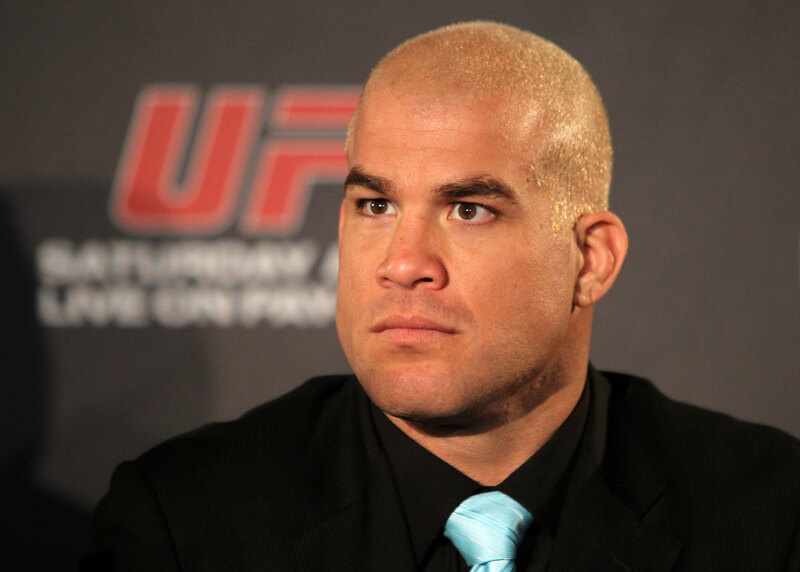 And no matter what happens with Griffin in their rubber match, Tito Ortiz’ fighting legacy is secure. As for what will go on with one of the sport’s emotional figures on such an emotional night, even he isn’t sure. Maybe just expect a standing ovation. A well-deserved one.